Our mission is to glorify God by supporting and encouraging one another through prayer, mentoring and fellowship as we educate our children at home. We work to enhance your family’s home education experience through field trips and celebrations. 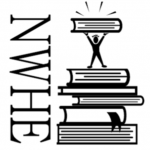 Membership registration for Northwest Home Educators (NWHE) is open year round.